Free homeschool stuff is fun, whether you are a typical homeschooling family or one experiencing full time RV living. Take a look at this list of homeschooling educational freebies to see how you can get the most out of your homeschooling adventures. When you decide that homeschooling is the right choice for your RVing family, you may be worried about the cost. The great news is that you can easily find great free homeschool stuff on the web that make homeschooling easier, cheaper, and more exciting for your kids while full time RV living. If you know where to look, great homeschooling educational freebies are available. From virtual field trips to great ebooks, here is a look at some of the free homeschool stuff you should be taking advantage of while you're homeschooling on the road. While you are sure to take plenty of fieldtrips as you travel around the country, even when you don't have the time or money to stop and go on actual field trips, you'll find that there are plenty of great virtual field trips online. These are one of the top homeschooling educational freebies you should be taking advantage of. Here is a look at some of the exciting virtual field trips you may want to check out if you're trying to make the most of the available free homeschool stuff while full time RV living. One great field trip option is Bear Country USA. With the virtual tour, you can learn more about all the animals that are found at Bear Country USA. After you enjoy checking out the various animals, you can even check out their only visitor's center and store online. If your kids love Jelly Belly beans, enjoy one of the homeschooling educational freebies of a virtual tour of the factory. Not only can you tour the factory, but you can learn about history and even vote for new flavors of jelly beans too. While you may not get to Paris, your kids can still enjoy touring the Eiffel Tower on the internet from the top to the bottom while enjoying full time RV living. This sanctuary is located in Naples, Florida but you don't have to visit the area to enjoy a tour. You can take a nature walk through this swamp sanctuary on the web. If your kids are interested in marine life, the Kelp Forest virtual field trip is a wonderful idea. You'll get to get below the Monterey Bay sanctuary and you'll get to see interesting things above it as well. Another fun field trip, this virtual trip will show your kids how a ball pen by BIC is made. Kids will be surprised at how much work goes into every pen before they reach consum-ers. As you're looking for free homeschool stuff, you'll find that plenty of free library resources are available to you. Here are a few of the options to consider while enjoying full time RV living. UniversalClass.com is one of the options to consider when you're looking for homeschooling ed-ucational freebies. The site offers many different classes for low prices and a wealth of in-formation is provided with these classes as well. In many library systems, participation in classes is totally free. Sometimes it can be difficult to get a library card if you don't have a permanent address. One of the best things you can do is to get a library card in the area where your domicile is. Then you can take ad-vantage of online resources that they offer. Look at the website of the library to find more free home-school stuff that can help. Another option is to check with libraries to see if you can use their resources for a small fee. If you let them know that you're homeschooling your kids on the road, they may provide you some temporary access to resources. Check at the campgrounds you visit as well. Most of them have book exchanges. These are shelves usually found in a clubhouse where books are located. You can leave books and take a book and you'll often find a wide variety of options available. Take advantage of the many free ebooks available when you're looking for free homeschool stuff. A variety of different websites offer ebooks that you can get for free to use with reading devices like the Nook or the Kindle. Often applications are available for free for your cell phone or computer so you can take advantage of these homeschooling educational freebies without an eReader. Here is a look at a few sites to check out. This site offers great ebooks and they are all free. 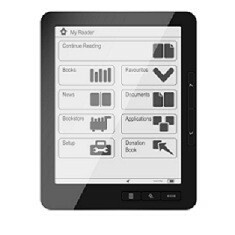 Over 29,000 ebooks are available and you can easily browse through the site by title, genre, language, or author. Another of the great sites to use if you're looking for free homeschool stuff while full time RV living is Project Gutenberg. Over 33,000 ebooks are available for free and you have several options to choose from when downloading. They do ask for a small donation to help them digitize even more books, although it is not required. On this website you'll find plenty of classic literature available for download. They are all free and you'll find some of the great classics, including books by Jane Austen, Charles Dickens, George Orwell, Leo Tolstoy, Mark Twain, Rudyard Kipling, and more. This website offers free ebooks in a variety of categories, including fiction, religion, science, computers, education, economics, travel, history, and more. The availability of free homeschool stuff makes your job easier as a parent if you've decided to homeschool your kids on the road. Make use of these homeschooling educational freebies like virtual field trips, online library resources, and free ebooks to enhance your children's education while keeping it exciting for them.